A hypothetical Carmageddon III mod? 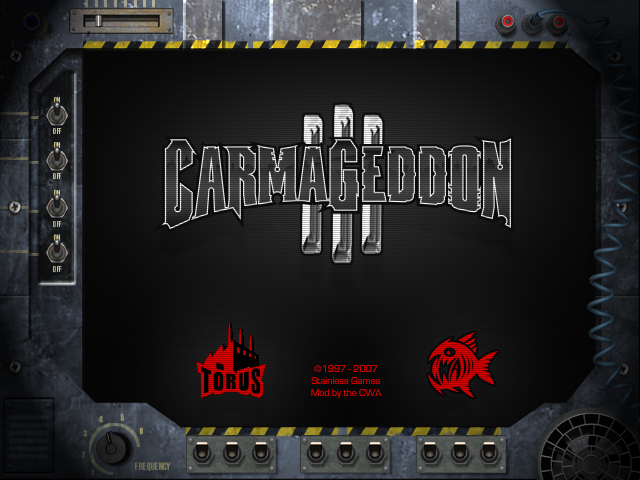 All things Carmageddon TDR2000 related - from editing, to multiplayer, tips and hints. Sorry to bump the TDR subforum just for another talking head topic! Just a discussion that might or might not turn into a mod, who knows? We all know that while TDR2000 was a decent game, it wasn't a good Carmageddon game. So I'm kinda wondering what would be the aspects (especially the smaller, easier to edit details) you'd change that would make an impact on the game and make it closer to an actual Carmageddon 3. I'll start with a simple thing: I'd remove the very short timer limit. And then replicate C2's time/point awards. Something about the overal physics of the game feels off, especially around the car collisions. The impacts could be better. As a general sentiment, a lot of vehicles feel uninteresting or out of place. The lack of a proper bio per car/driver is deplorable too. The story takes too much place. The missions are too focused on the story. The levels feel too confined. So now, what's your opinion? Do you know any other small edit that'd make a carmageddonish impact on the game? What are the best points and worst points of TDR? Re: A hypothetical Carmageddon III mod? Yea the cars in TDR feel floaty, light and go over one another, rather then pushing one another. Just willing to add: the lack of a proper Hawk MK4. However the very bland Sportscar or the McKillem could make for a nice Hawk once reskinned. And ofcourse both cars available from the get go. The AI could be made more aggressive, as it is very racing-oriented. You already know my thoughts on all of this and I'm down for helping out with it! As with C2 and CarEd, what is needed and available to create for TDR? Is there any other advantage to this engine over C2? You can get the game from Steam or GOG. The engine offers a number of improvements over C2, the physics are a lot more realistic. I'm sure Toshiba will expand on what I've stated a lot more. Yeah I agree with you there there Razor some of the cars looked good but just felt abit copy n paste handling wise. The one thing I loved about TDR2000 was the online multiplayer back when there was a small handful of players on Hamachi. Im guessing map mods are still not possible or did Errol figure something out? I wouldn't mind getting involved with this if it gets enough interest seeing. @Alex: As Timmy said, it is possible to make cars for TDR via 3dsMax3.1 and the plugins. Tutorials are available via RR2000. 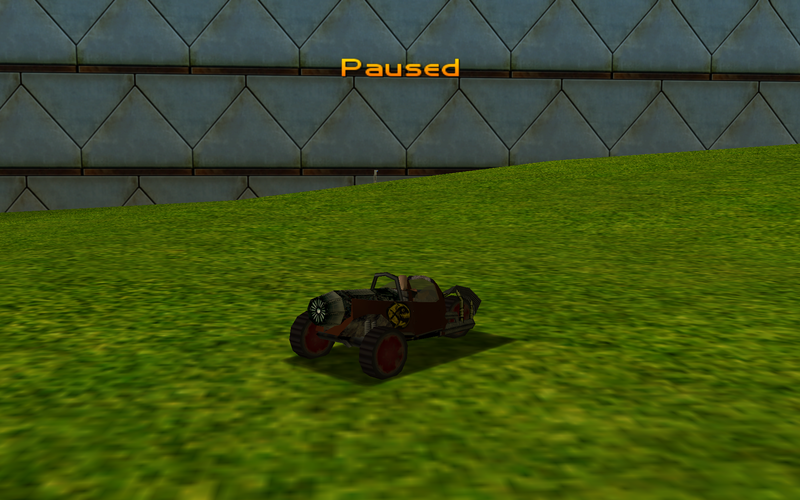 I never managed to properly get a car ingame myself, still thinking about it now and then. It is also possible to modify existing tracks via the text files like we used to do back then for multiplayer, or my modified Arena. @Timmy: I think it wouldn't require much work from Errol to be able to inject stuff back into TDR (Flummery can open TDR cars and most tracks). A lot of stuff is still very different from C2 though, especially the paperwork. The main advantage of TDR imo is definitely the multiplayer mode. The golden age of TDR multiplayer showed how solid and fun it was. Especially coupled to GameSpy Arcade (or Hamachi nowadays). Somehow I think it'd even be possible to get a master server just like Hifi tried with C2. Physics, I don't know. The overal physics engine seems on par with C2? Can't say much about what's possible with the car/track setups as it was never really investigated like ChevyII, cesm, C2S, Harm and I did with C2. Last time we talked about it all on IRC, we insisted upon the fact that the game really is too serious and has a bleak tone. A good example being the Necropolis which while one of the best levels design-wise, misses the Carma spot. As if the designers somehow forgot the game was also about running over people. Another remark of mine is that the game textures are often too busy, creating a lot of visual noise. A good example is the drones. I wonder what could be the start of such a mod: removing the time limit ofcourse, and maybe checking how possible it is to breath some life back into the cars by editing the bio, maybe even hack the exe to make it possible to display more stuff there? Also properly skinning one car to the carmageddon-standard? Is this mod idea still going? Any work on it so far? Hello macacom (wow long time no see), yes I'd still like to give this a shot at some point. Just have to get into it I suppose. Must say though that I tried playing some more TDR since then, and the task seems quite big..! Kinda willing to try and skin TheChef with Substance Painter. I would also still be interested in doing this, although I am extremely busy these days. Well, I have a shameful love for TDR2000 (not sure why), but I try to help anyway I can. Just let me know. Bumping this topic with a little something. This is a simple mod to the files cop_desc.txt and difficulty.txt from within CARMA.PAK. It's done by Lila Feuer aka Cyan0sis and changes the difficulty to something closer to C1 but enables fairer time rewards. As for the cops, golfcarts are directly replaced by the cop car and suppressor, and further the suppressor is replaced by the tank. Hey, is this mod idea dead or what. im really curious to see what comes out of this mod?